This attractive necklace from the Honora Reflection collection is an attention-getter. 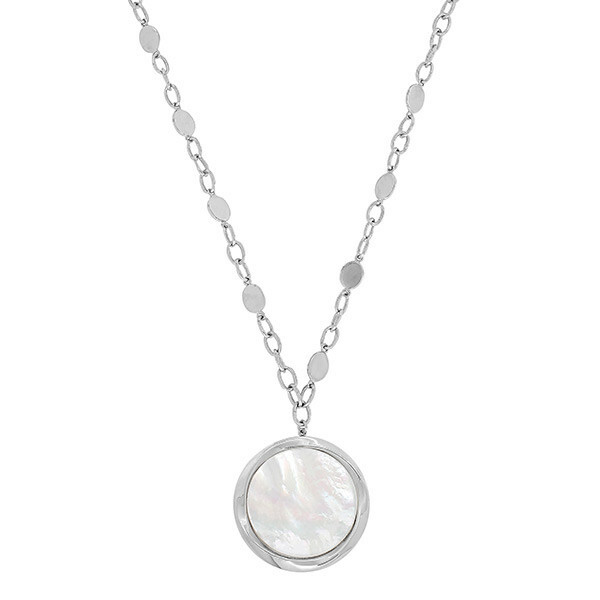 Crafted in sterling silver, a pendant with a 24mm round white freshwater cultured Mother-of-Pearl framed in precious metal glides along a 20" chain comprised of open and filled oval precious metal disks. Wear this Honora necklace with a suit or dress, a button-down or turtleneck...and more!